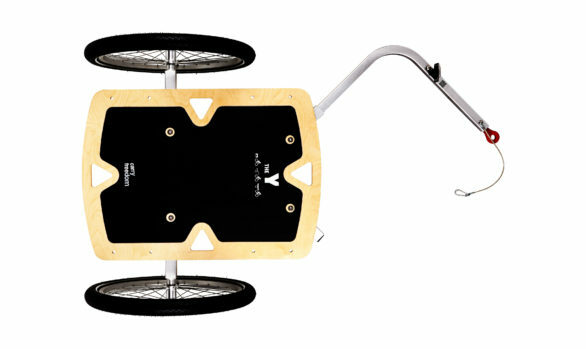 The Y small is a simple, elegant and versatile trailer platform. Load it with all kinds of attachments like boxes, backpacks, dog baskets and so on. The Lollypop towing bracket needs 4mm of space on the rear axle of the bicycle. also includes 1 hitch bracket.